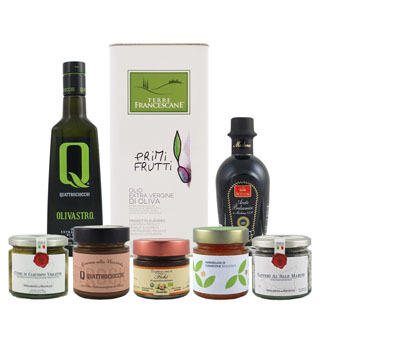 The special organic aromatic oils from Olio Quattrociocchi are a must-try. Specially infused with the aroma of Italian truffles, this oil is made exclusively from olives grown on their organic farm in Alatri from the Itrana, Moraiolo, Leccino and Frantoio varieties. Try this oil drizzled on pasta, mashed potatoes, or even fried eggs. Organic aromatic extra virgin olive oil fused with basil.